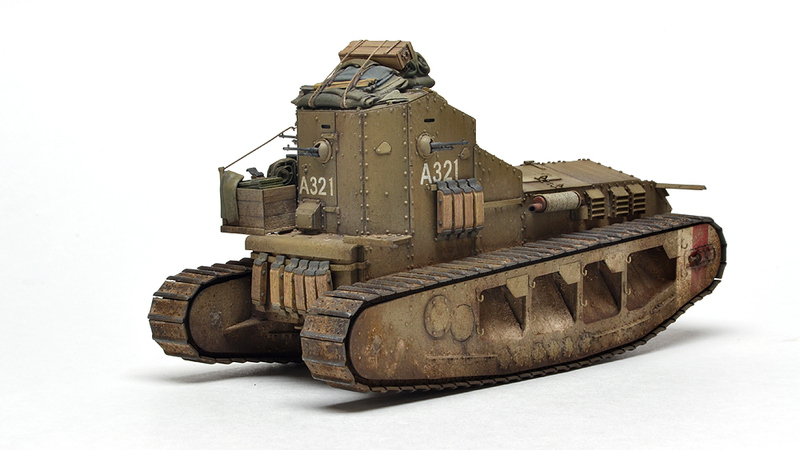 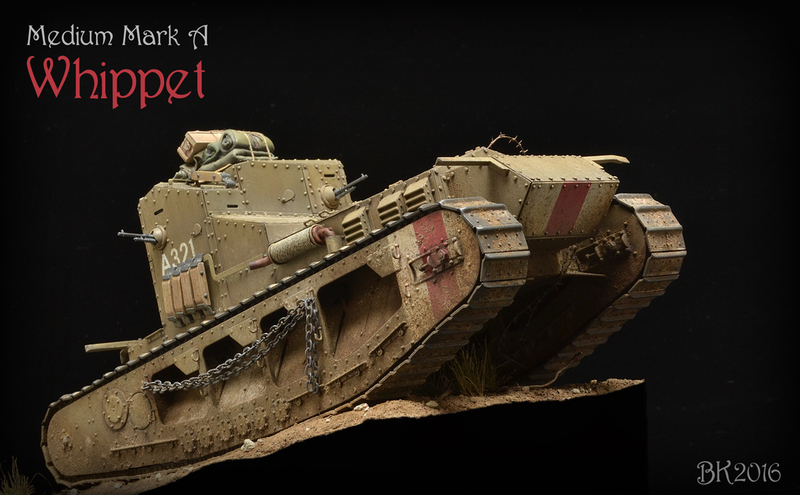 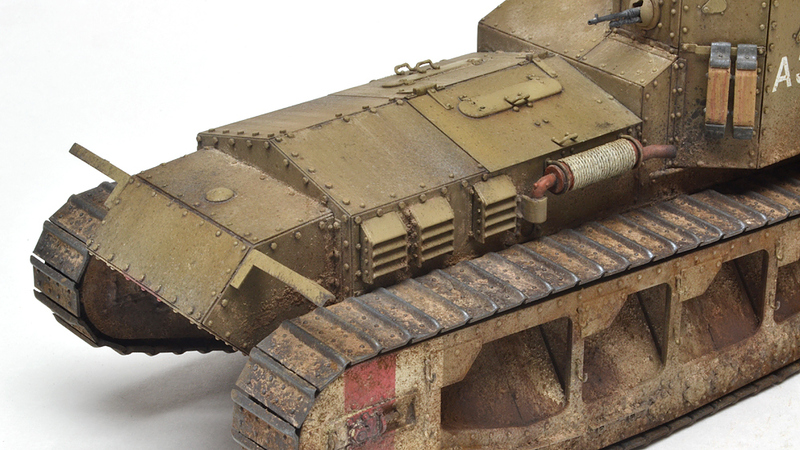 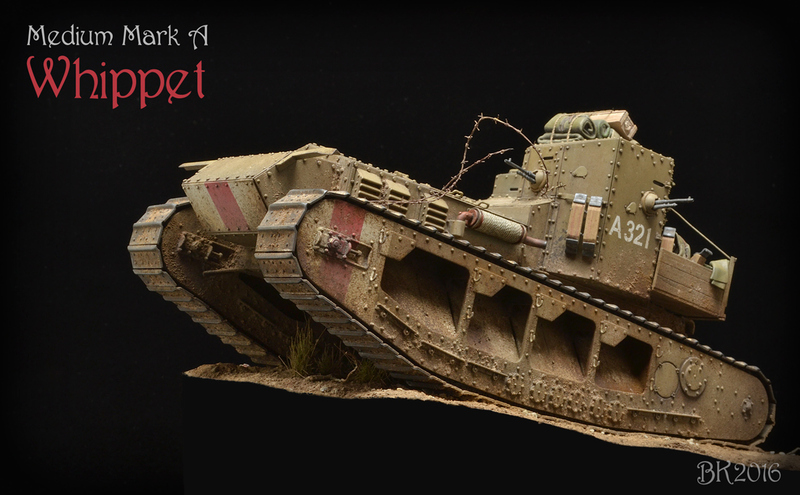 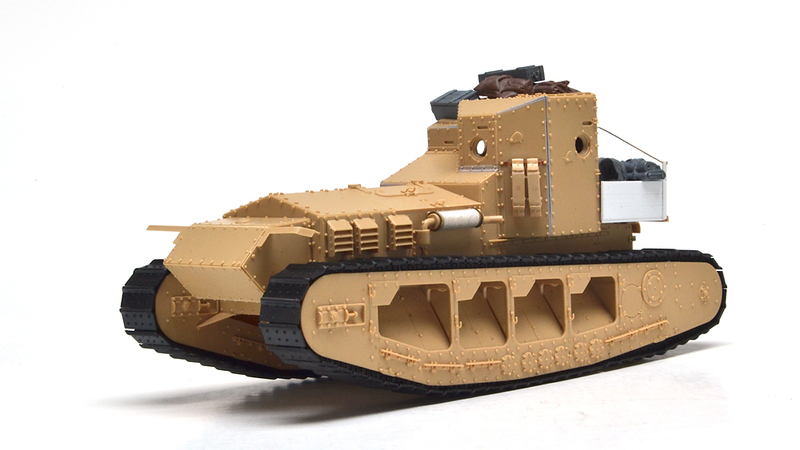 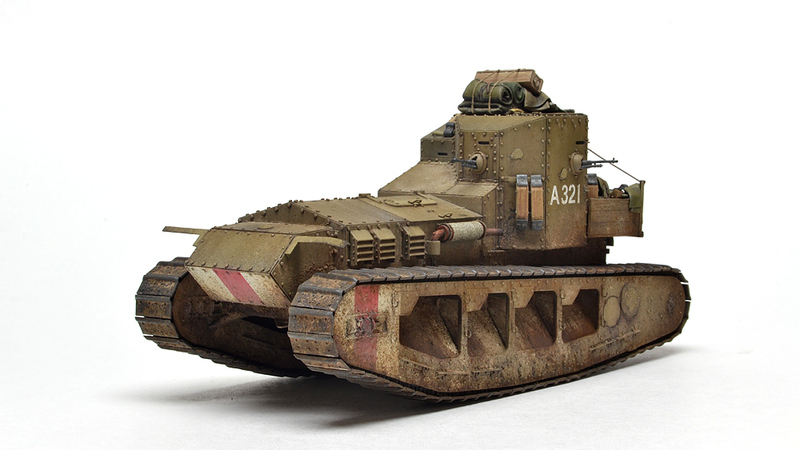 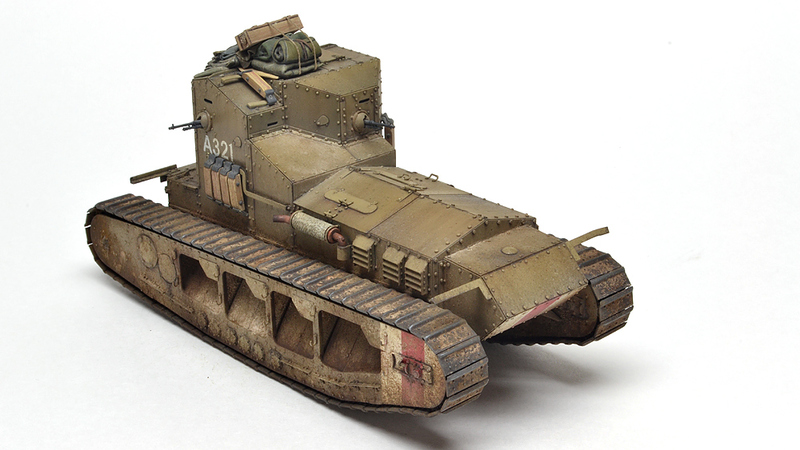 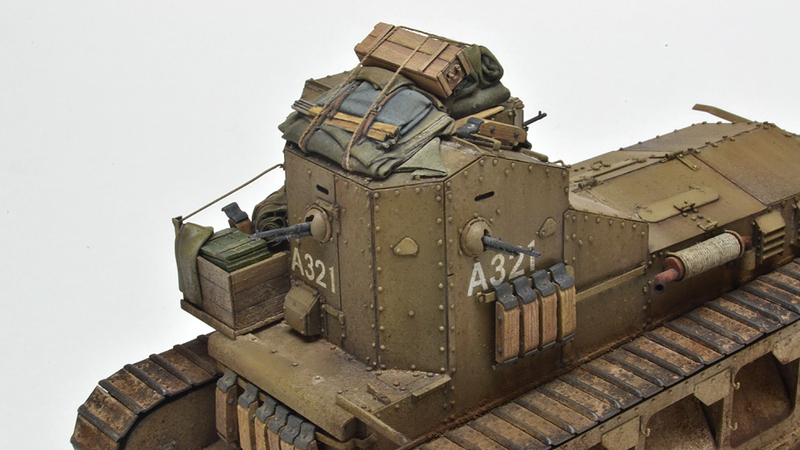 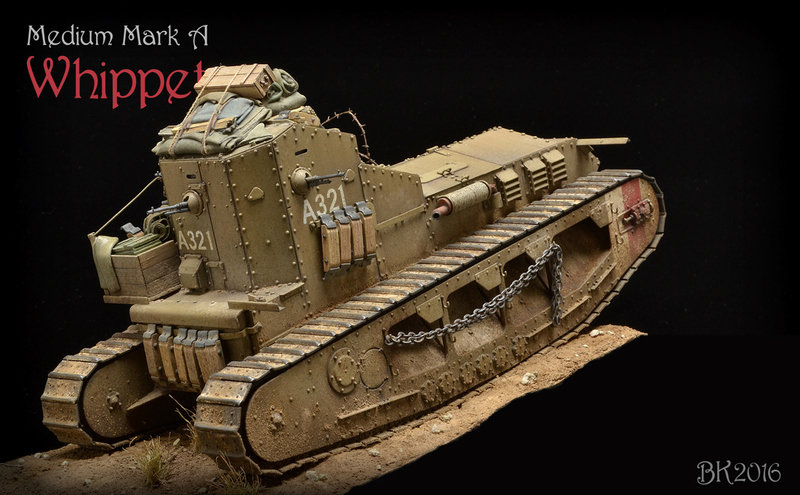 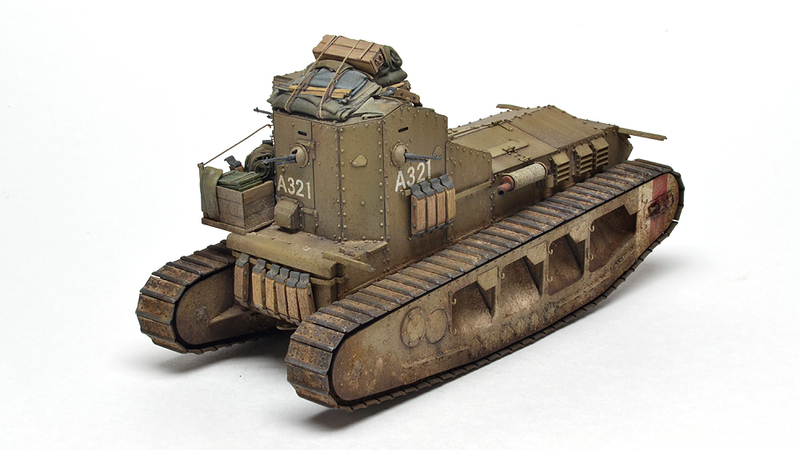 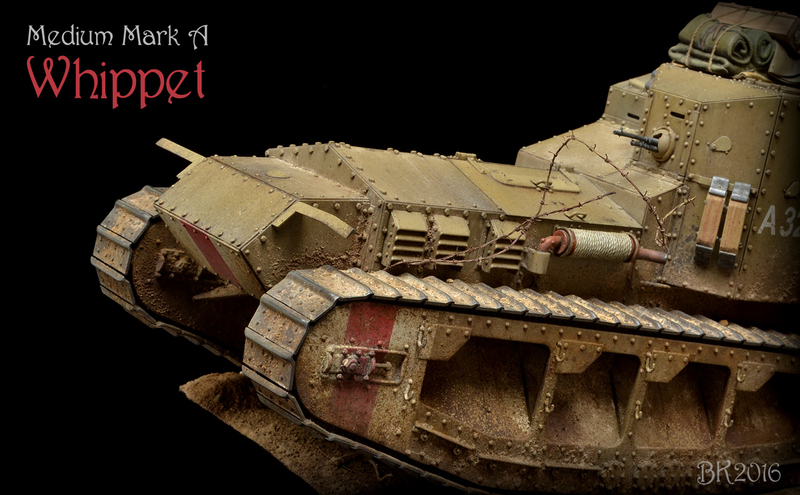 The Medium Mark A Whippet was a WWI light British tank developed to take advantage of the breakthrough path created by the slower heavier tanks. 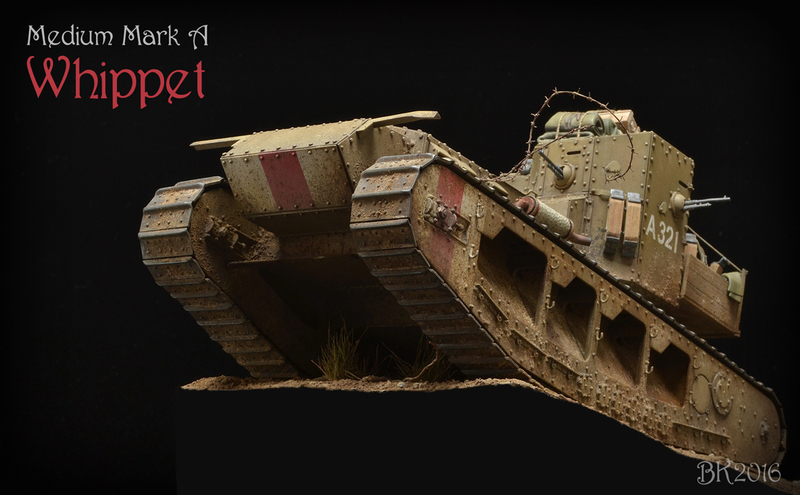 With a top speed of 8.3mph, this was a real rocket! 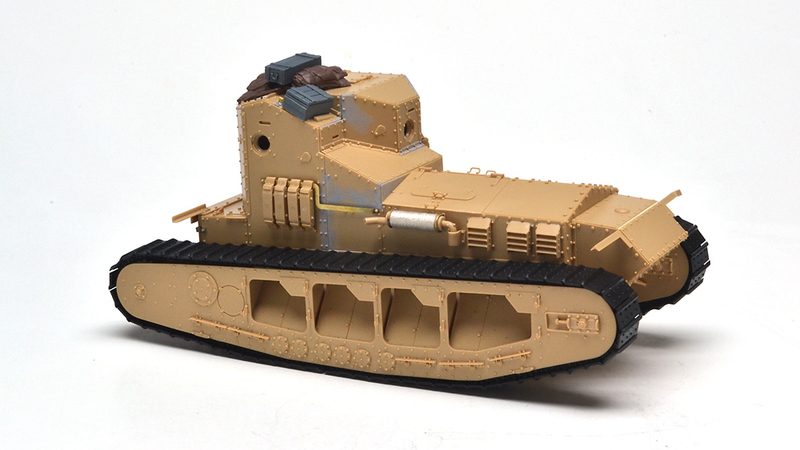 I have been interested in the Whippet since I read a FSM article about it in the mid 80s and have always wanted to build one. 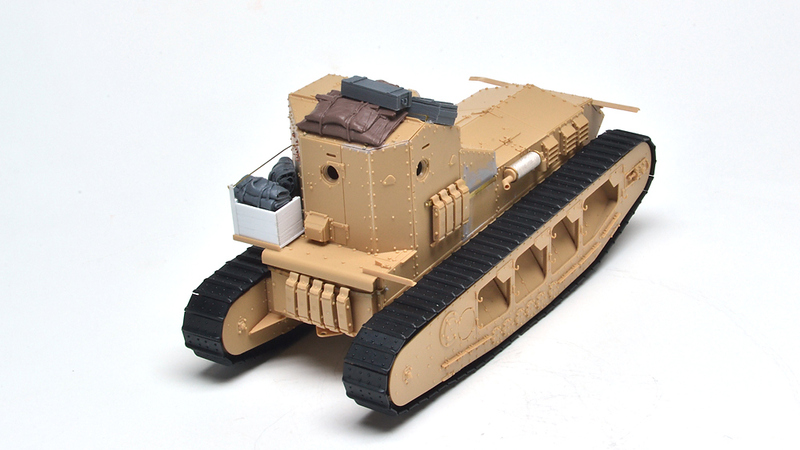 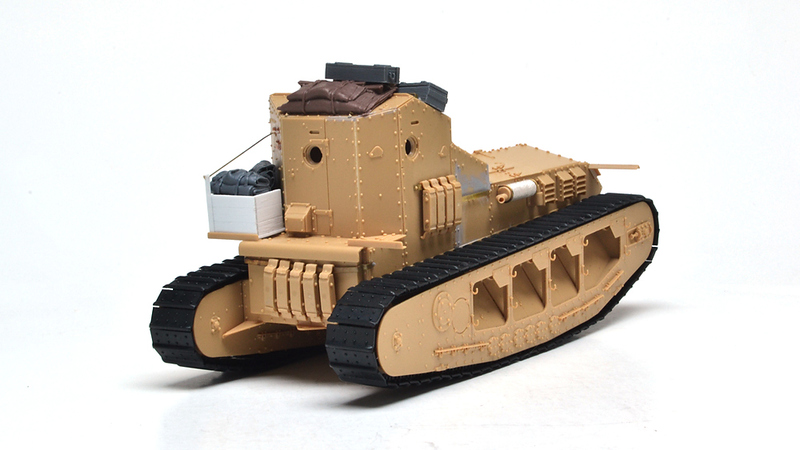 This is the Meng kit with some scratch built details like replacing the molded on brackets with brass and copper strip. 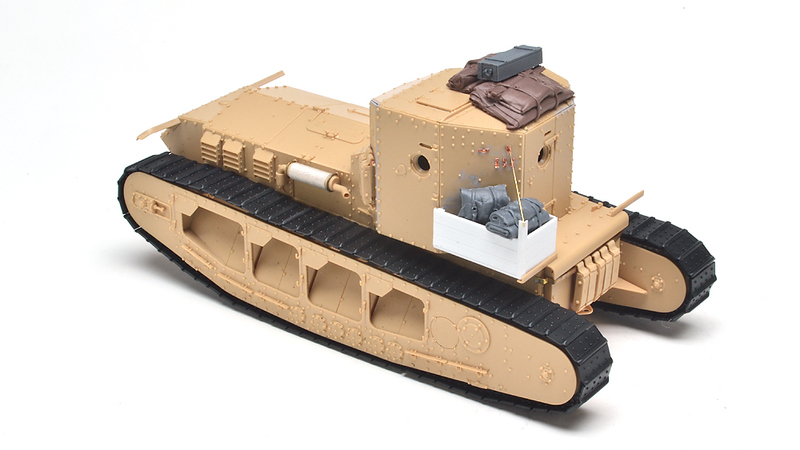 The stowage box is scratch from styrene sheet and the stowage is a mostly Value Gear resin bits with some epoxy putty extras. 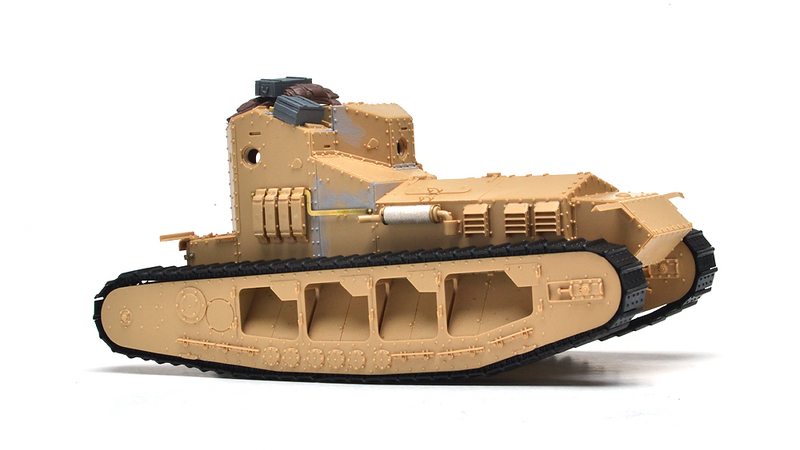 The barb wire is hand made from thin gauge copper wire stripped from an old power cord. 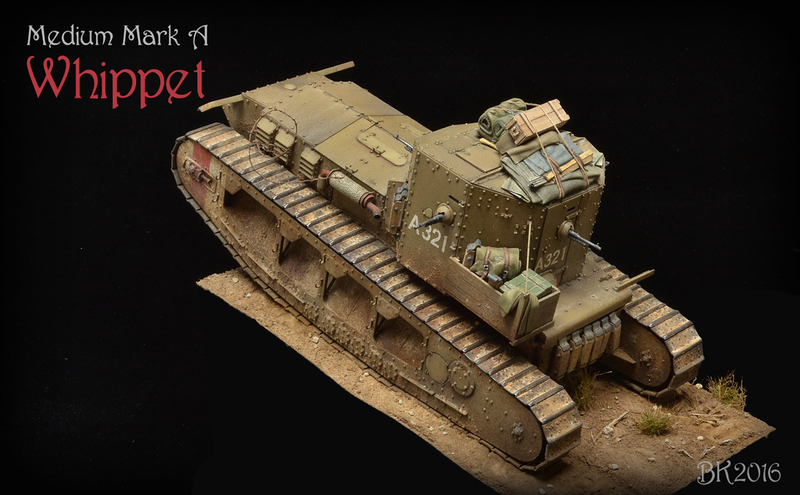 The model is painted in a custom mix of Tamiya acrylics. 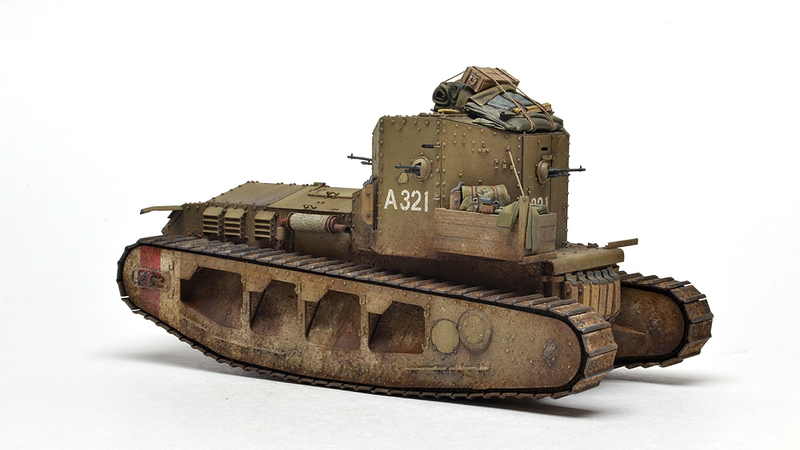 Weathering was done with oil paints, enamels, and pigments.